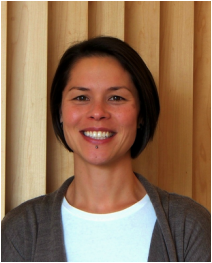 Tanya Dang is a Canadian Certified Counsellor and holds a Masters degree in Counselling Psychology from the University of Victoria. Her focus has been working with youth and adults to face their fears and to find direction in their lives. Tanya creates with her clients a non-judgmental, supportive, and authentic space. She works with a premise that life is about balance and that everyone has their own, unique version of balance. She believes people have an inherent need to belong, feel accepted and make meaningful connections in their lives. Working with Tanya, clients find an acceptance of themselves and their past, while learning to forgive and let go of painful experiences and patterns. Clients expand awareness of their needs and increase their ability to connect with others. Tanya has helped clients with depression, anxiety, self harm, eating issues, addictions, relationships, gender and sexual identity, and trauma. She has been a practicum supervisor for students in both Diploma and Masters in Counselling programs. Tanya has facilitated groups for grief and loss and anger management. Life is a series of changes, and counselling can help with the transition between those changes. Counselling is most effective when a positive relationship is built between a counsellor and a client. If you are feeling ready to make changes in your life or have other questions about counselling, come in for a free, half hour consultation to see if Tanya is a right fit for you. "I was extremely fortunate to meet Tanya after many years of struggling to find a counsellor who was a good fit. Tanya has helped me immensely by offering support and understanding. Through Tanya, I was finally able to understand what tools I needed to obtain in order to improve. The transformation I have seen in myself is more than I could have hoped for or imagined."